Enjoy the top 1 famous quotes, sayings and quotations by Steven Handel. 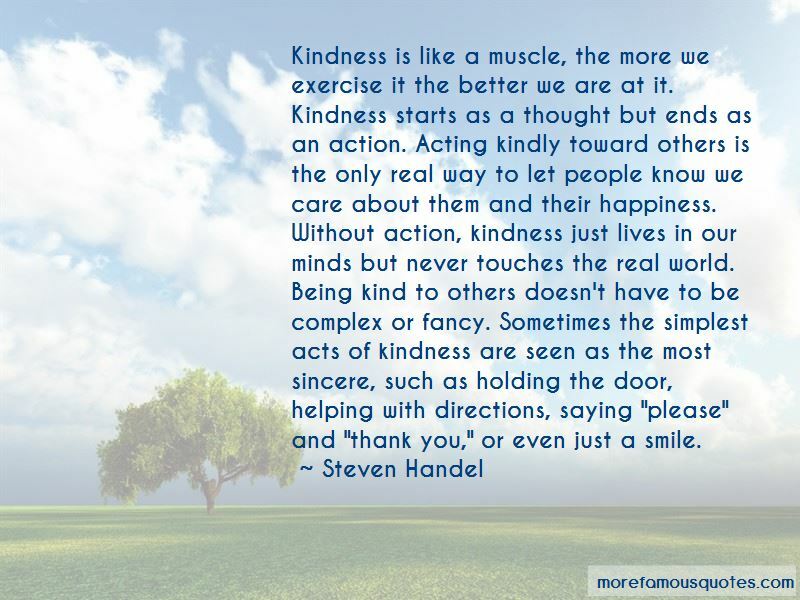 “Kindness is like a muscle, the more we exercise it the better we are at it. Kindness starts as a thought but ends as an action. Acting kindly toward others is the only real way to let people know we care about them and their happiness. Without action, kindness just lives in our minds but never touches the real world. Want to see more pictures of Steven Handel quotes? Click on image of Steven Handel quotes to view full size.